As soon as we get past the holidays, it’s time for the spring theme park events, and one of my favorites is Universal Orlando‘s Mardi Gras. 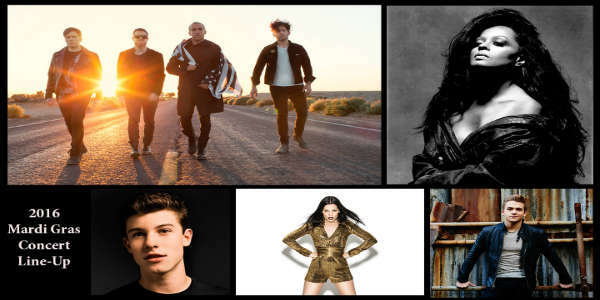 This week, UO announced the concert line-up for Mardi Gras 2016, which runs select nights from February 6 through April 16, at Universal Studios Florida. It’s a good mixture of current chart-toppers to classic legends, across a variety of musical genres.